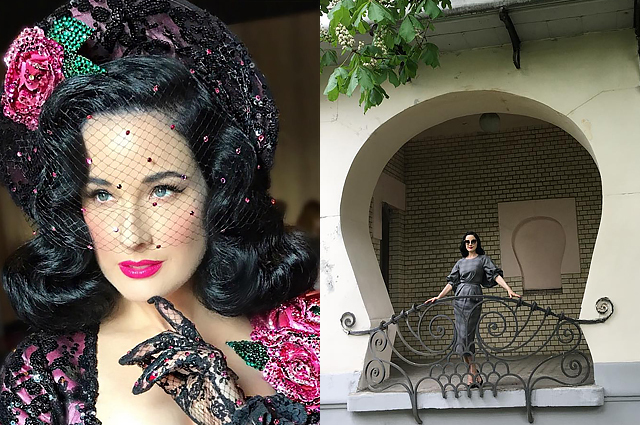 Recently Dita von Teese visited Moscow and told about it on her page on Instagram. The 44-year-old star of Burlesque decided not to tell why she decided to visit the Russian capital, but she shared her impressions of Moscow's cultural attractions. "Hello from Moscow! Thanks @frolburimskiy for being next to me on this beautiful day, filled with the scent of flowering trees. I've been to Moscow many times, but I can not remember a more beautiful day. I really enjoyed visiting the Gorky Museum. 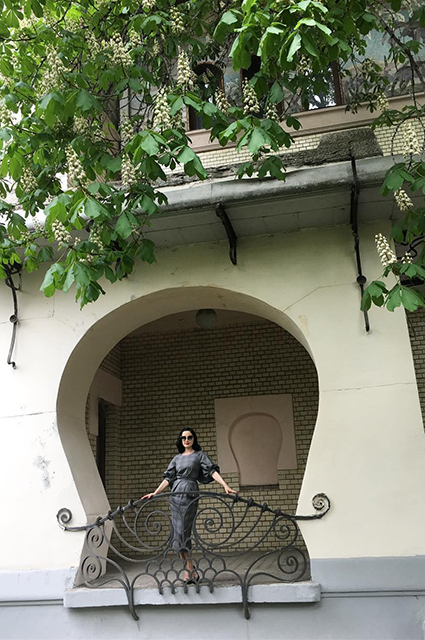 And as usual, I went to the Diamond Fund to admire the impressive exhibits, - Dita told her followers, sharing a picture taken in the former mansion of S. P. Ryabushinsky, where the museum-apartment of A. M. Gorky is now located. 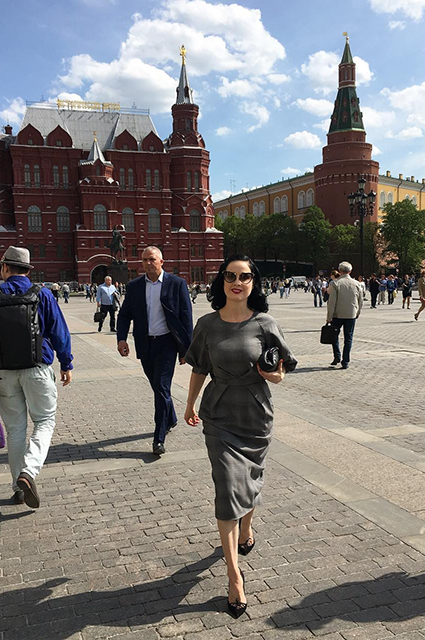 Frol Burimsky, mentioned by the American model in his post, also shared an image on his Instagram-diary - in the picture shared to Instagram Dita von Teese is seen on Red Square.